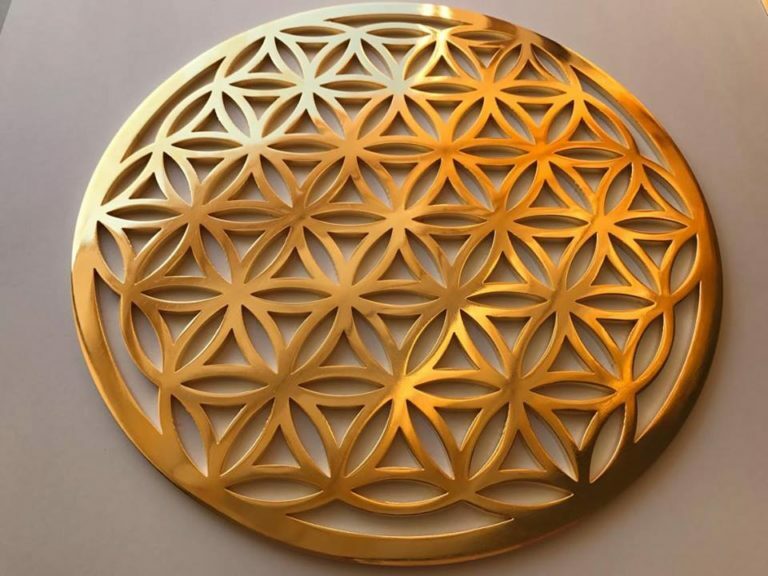 The Flower of Life is a 8.3inch ( 21 cm) diameter Altar size handcrafted Tool that is Gold 24k plated. The flower of life is one of the most compelling sacred geometric shapes in the world! 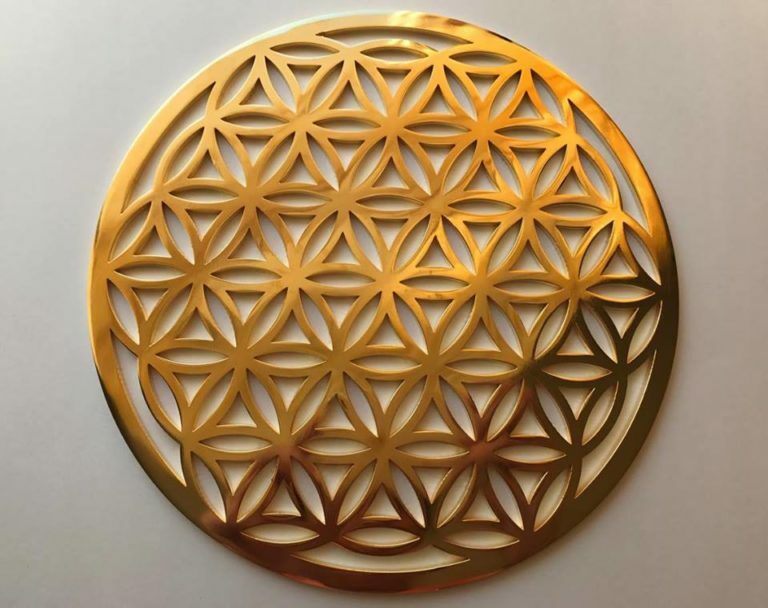 The Flower of Life really is an ancestral symbolic system, that has been found all over the planet and among every cultural tradition. 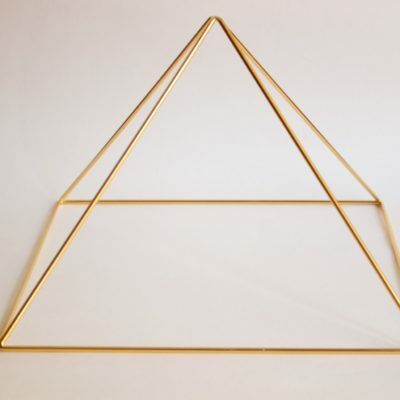 It represents the Creation’s matrix, containing all informations about life in the Universe, and a synthesis of all mathematical and physical laws that rule the Cosmos. 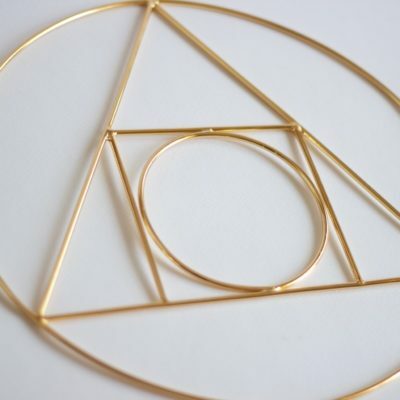 For this, it is regarded as the core system of Sacred Geometry. 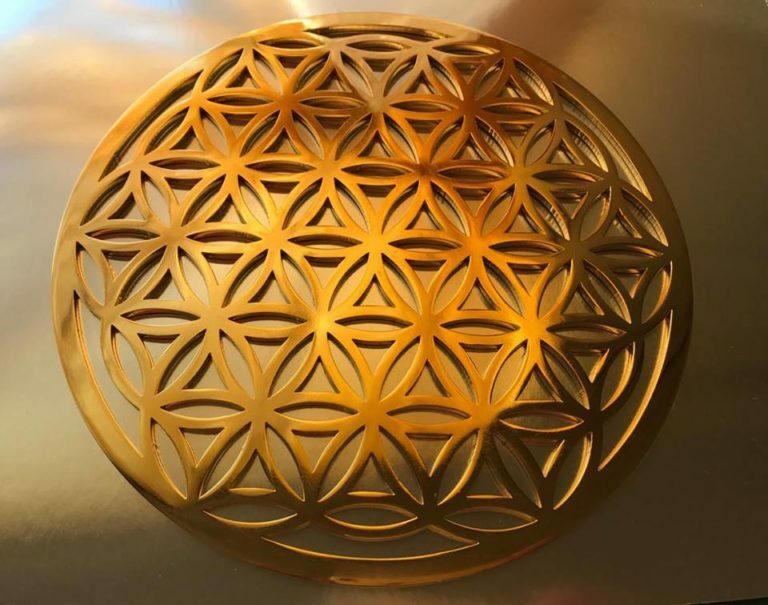 The Flower of Life is a sacred power symbol which activates energy coding in the mind, helping one to access the light body. It is considered to be a wholly integrated expression of God, or All-That-Is.This symbol has a vast number of hidden potentials available within it. One needs an open mind and infinite humility in order to uncover its secrets. 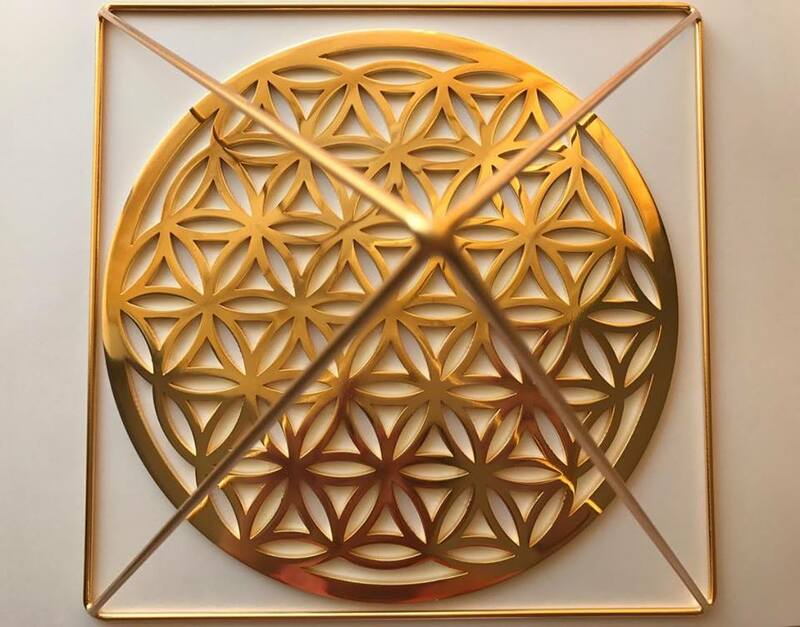 The Flower of Life can serve you for a lifetime as a mirror into which you can view your limitless potentials. 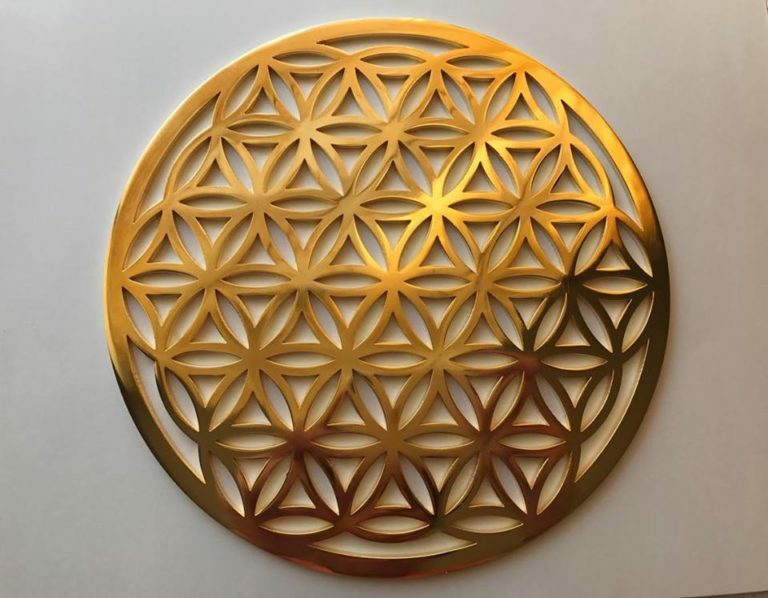 From the models within it, the Flower of Life symbol has the ability to demonstrate how all things come from one source and are intimately and permanently woven together and will help us to see within ourselves the vastness of which we are all a part. 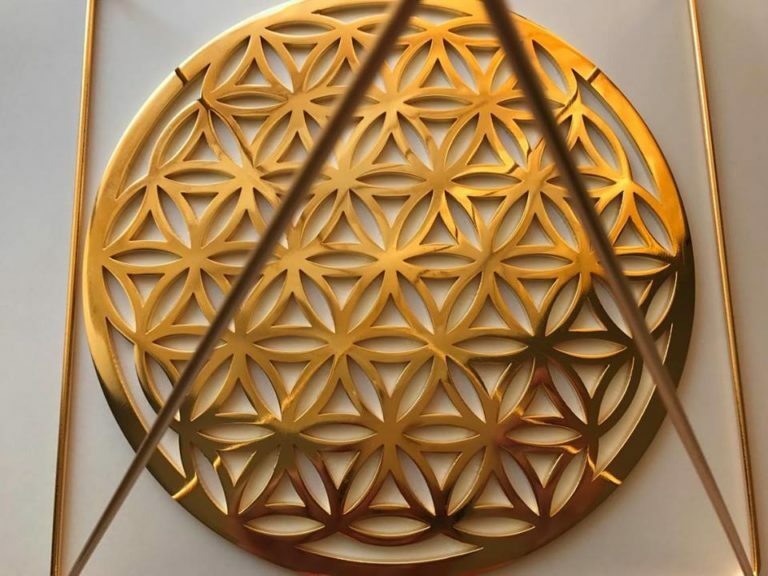 The Flower of life Tool is excellent for healing, and it helps you connect to your higher self. 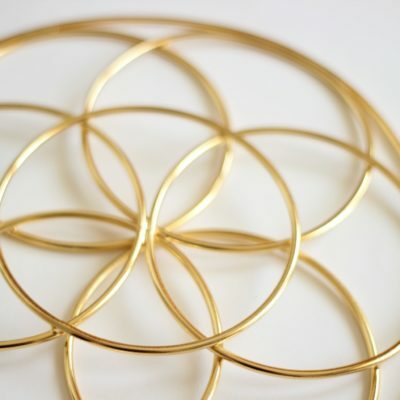 The flower of life shape contains a secret shape known as the fruit of life. It consists of 13 spheres that hold many mathematical and geometrical laws. These laws represent the whole universe. Giving Flower of Life to someone you love, is like giving them the whole universe in one pocket size Tool. The Flower of Life can be found in all the major religions of the world. 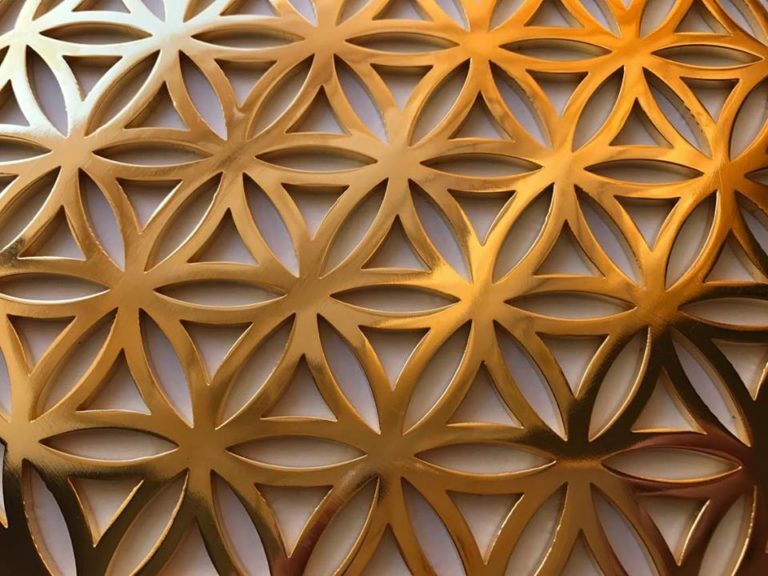 In Egypt, whose tradition many people believe is the source of all the monotheistic religions, the “Flower of Life”, can be found in the ancient Temple of Abydos. In Israel, you can find it in the ancient synagogues of the Galilee and in Mesada. People reported physical and psychological changes from meditate with this Tool. They experienced increased heart beat, prophetic dreams, dissolution of their illusions, seeing the reality for what it is, and freedom from deep-seated fears.